Belinda Neil lived and breathed her high–octane job. She relished her roles as a homicide investigator and hostage negotiator with the NSW police force, but she never knew what her work day might bring. She could be investigating brutal murders such as the De Gruchy killings or , in her negotiator role, persuading the murderous and suicidal to drop their weapons., stop terrorising their families, step back from the ledge. It was hardly surprising that over time the horrors she saw began to take their toll. After years of broken sleep, traumatic crime scenes and death, one disastrous weekend brought everything to a head. The next morning when she awoke, Belinda found she was shaking so badly she could not get out of bed. A short time later, Belinda found herself contemplating jumping off a cliff in the Moreton Bay National Park. She had even written the suicide note. 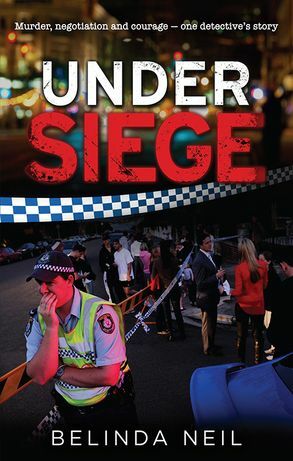 Under Siege shows us the remarkable job homicide investigators and hostage negotiators perform, and their endurance and courage in impossible circumstances. More than that, this brave memoir reveals how the daily trauma and stress affected Belinda's roles as wife and mother and how she fought against the terrifying post–traumatic stress disorder that resulted to come back from a very dark place.